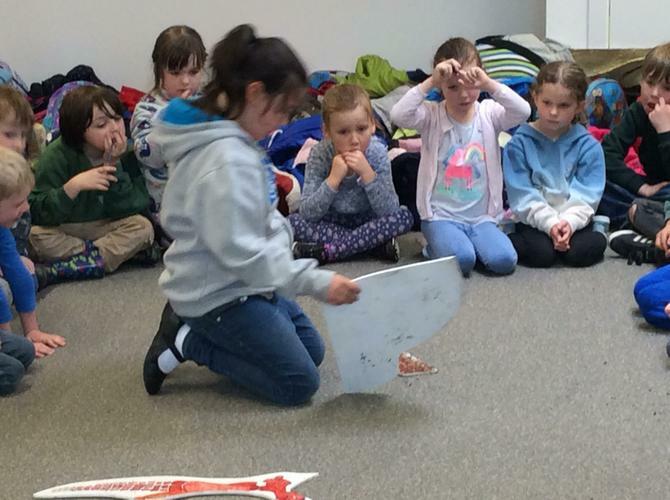 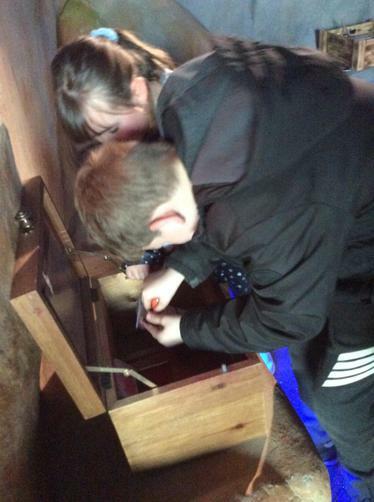 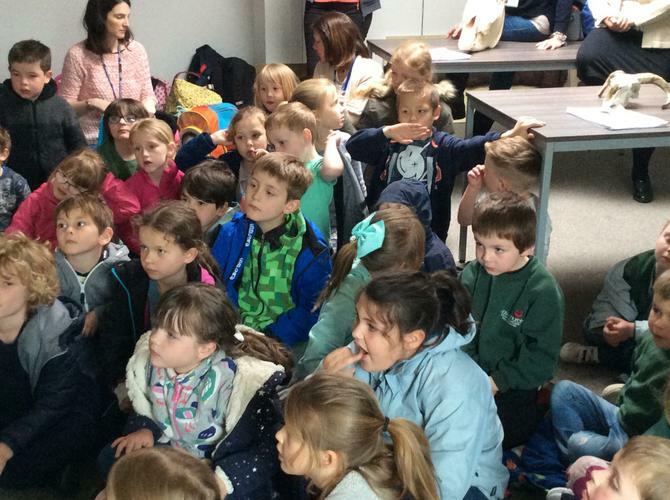 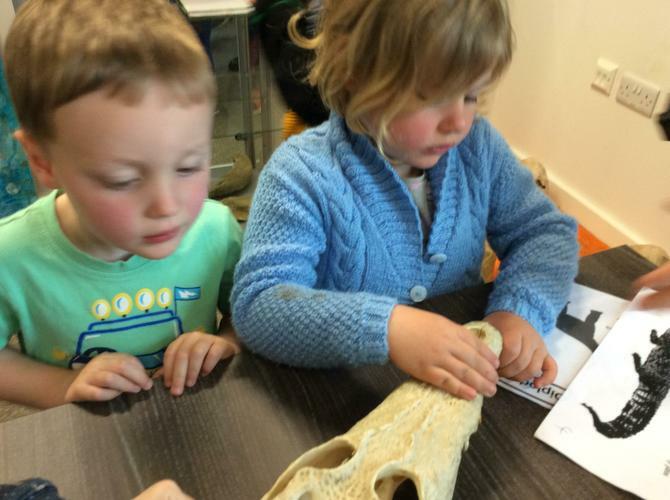 The children had a lovely time at Seaton Jurassic. 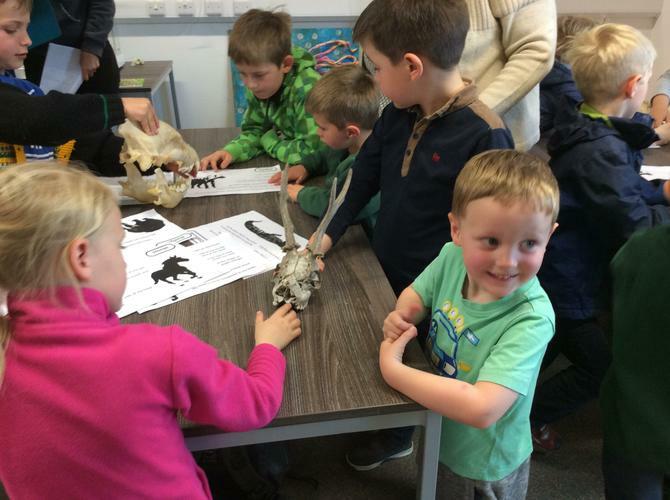 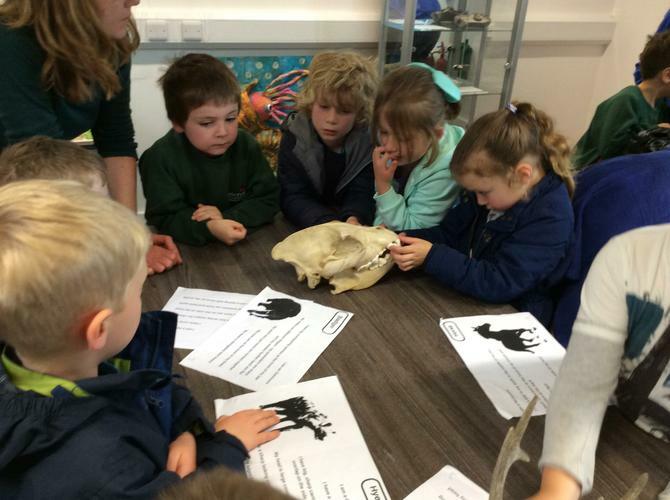 As well as learning about the famous ‘Dippy’ dinosaur skull (which has been on tour all over the country from the Natural History Museum in London) the children investigated other animals and their skulls. 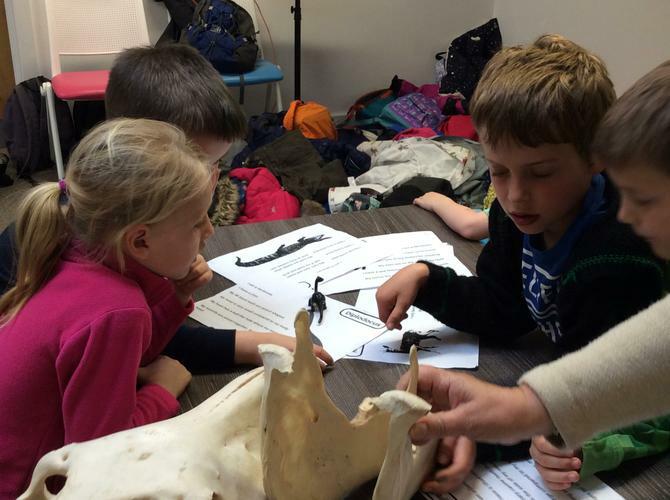 They put their detective hats on to find clues as to whether each skull belonged to a carnivore, herbivore or omnivore, and studied the different features to try to guess which animal it was. 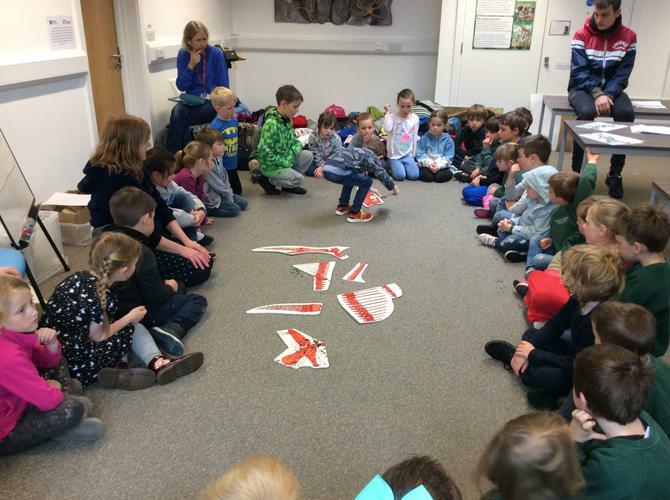 They also discovered how fossils are created and what they tell us about our past, and enjoyed making their own leaf fossils out of clay to take home. 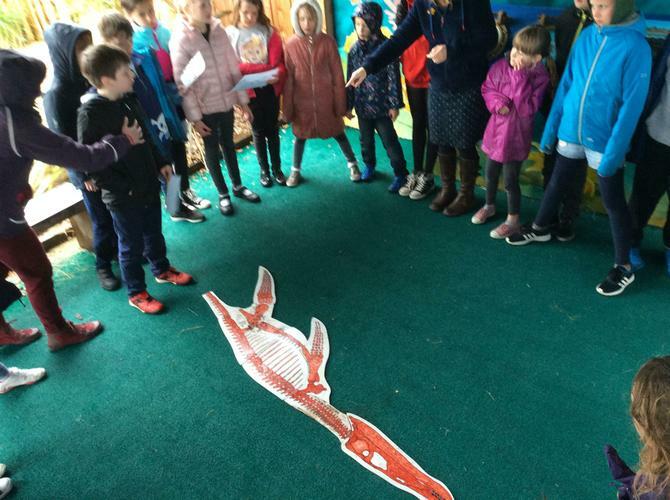 Although the weather was not on our side on Friday, they still enjoyed their activities in the Centre’s beautiful garden, particularly the hunt to find pieces of a Plesiosaur puzzle, which they successfully pieced together. 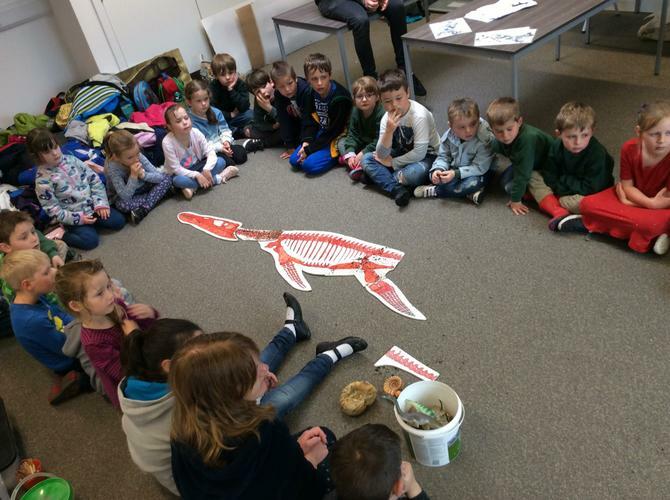 The second part of the day allowed the children to explore how living things have adapted from a range of local habitats in the indoor rockpool area.